The GameEnthus crew is joined by LevityNYC(Steve) and KhoIdstare(Derek) for this week’s audible outing. Unfortunately Probune(Brian), Mike and Tiny were not able to join us. 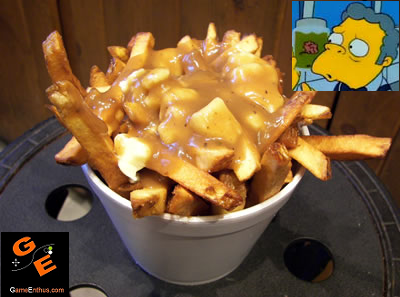 Our topics this week include but are not limited to: poutine, Mortal Kombat Legacy, burgers, fries, Friday the 13th, A Nightmare on Elm Street, Trials HD, NHL 11, E3, Pinball FX 2, InFamous, Brink, Terraria, L.A. Noire and more. Hope you enjoy the show and feel free to leave us, hopefully positive, feedback on itunes and/or the Zune Marketplace. When you’re done listening check out our forums, leave us some voicemail @ (202) 573-7686 begin_of_the_skype_highlighting (202) 573-7686 end_of_the_skype_highlighting or email us at podcast@gameenthus.com.